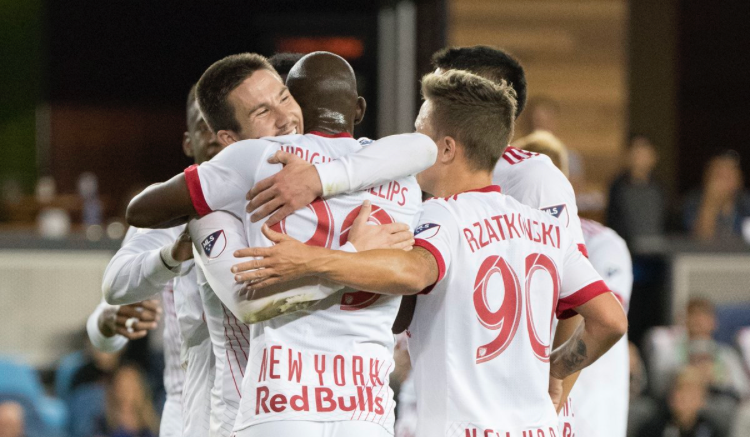 This was the Red Bulls' 20th win of the season, and they are now the 10th franchise in league history to reach the mark. They are also now the second club in MLS history to reach 300 franchise wins. The Red Bulls struck first in the 29th minute when Alex Muyl cashed in his third goal of the season off of a Michael Amir Murillo rebound in front of the net to make it 1-0. This was Muyl's third goal of the season and he tied his career best. He has tallied a point in four of the last six matches (1 goal/3 assists). Soon after, on a set piece, Bradley Wright-Phillips picked up his own rebound off the post to double the Red Bulls lead, 2-0, in the 32nd minute. This was the 20th goal of the season for Wright-Phillps, and he became the first player in league history with three seasons of 20-plus goals. He raised his career league total to 106 and 124 across all competitions. Early on in the second half, Marc Rzatkowski whipped in his corner kick towards the top of the 18-yard box where Tim Parker used a nifty heel-flick towards Aaron Long. Long headed it underneath the cross bar for his third goal of the season, to give the Red Bulls a commanding 3-0 lead in 50th minute. San Jose's Chris Wondolowski moved within one goal of Landon Donovan's all-time scoring mark in the 83rd minute to cut the deficit to two, 3-1. Red Bulls goalkeeper and Captain Luis Robles recorded one save to raise his career wins to 99. Red Bulls Head coach Chris Armas tallied his 10th win as Red Bulls manager in just his 17th match at the helm. They complete their two-match roadtrip at Philadelphia on Sunday, Oct. 21, with kickoff at 3:00 p.m.